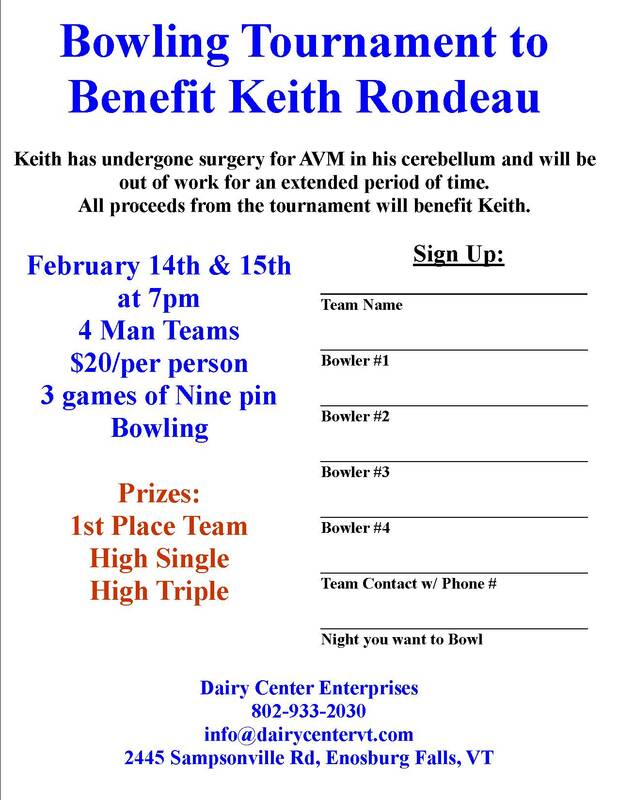 There will be no open bowling this Friday until 9:30, due to the Keith Rondeau Benefit Tournament. Tournament is full for Friday, but there are still lanes available for Thursday. 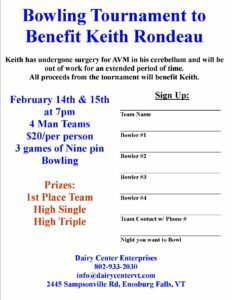 Consider doing something different for your sweetheart this Valentine’s Thursday – Join the tournament and support a great cause!